ON Lake June! 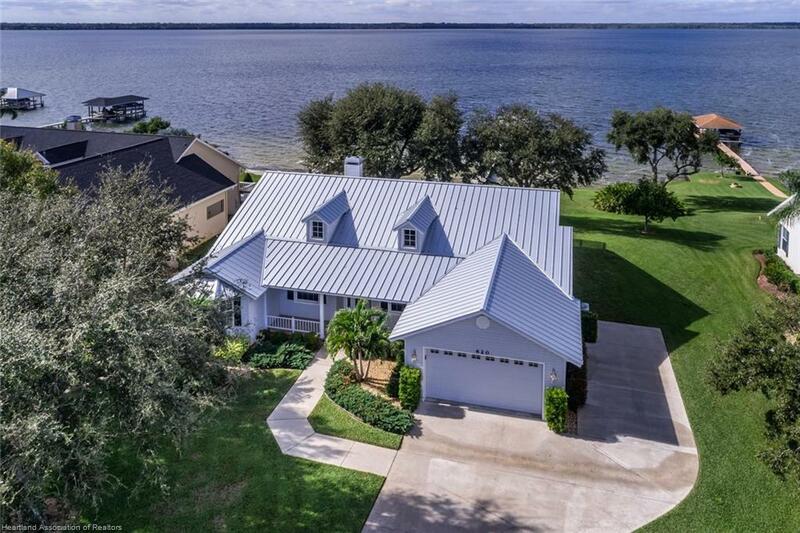 Located in the gated, lakefront community of Lake June Pointe. This custom built 4 bedroom home, plus office and 3 full bath is built for the lake. As you enter through the quaint front front porch you will appreciate the open floor plan, spacious vaulted ceilings, wood burning fireplace, glass sliding doors and screened lanai. Comfortable bedroom set up with split plan and two bedrooms with en suites. The owners retreat has glass sliding doors leading to the screened lanai, large bathroom with cultured marble shower, counter tops and lots of closet space. Kitchen has beautiful wood cabinets, granite counter tops, breakfast bar, large pantry and stainless steel appliances. As you look out over you lush lawn and treed backyard you will see the over sized dock with deck and room for both a boat and 2 personal water crafts. Additional features include metal roof, inside laundry room and city water.